Settlement between hospital and insurer should happen without holding a patient hostage. Last month, I attended a conference organised by a health insurer. During a panel discussion, the founder of a large broker shared his personal experience of making a health insurance claim in the US. He said that when the doctor gave the green signal for discharge, his family was free to go. "I did not have to wait for a TPA desk to send a discharge summary, insurer to ask questions, the hospital to answer, and finally haggle over deductions. I could just pick up my bag and leave," he said. In contrast, the discharge in Indian hospitals is difficult. Patients wait between 3 to 6 hours for approvals to come in. Sometimes, patients give up, pay the hospital and leave only to go through a long claim reimbursement process later. The panel deliberated a few interesting and some contentious issues. But all had a common view. We are meant to serve as a bridge between the policyholder, care receiver, the hospital and care giver. After the panel discussion, I spoke to many executives for their assessment of how industry fares on serving as this 'bridge' between insurers and patients. The incumbents felt that the Indian market has unique challenges and it is wishful to aspire for international service quality. In their view, cashless claims itself have been a breakthrough. Insurers get discounted packages from hospitals and save costs. Patients do not pay out-of-pocket. And, the network hospital gets a loyal patient base. A win-win. The incumbents felt that, If only the government could be a little more supportive, health insurance penetration would increase. The challengers, felt differently. They said that insurance penetration is only 44% in India compared to 99% in the US. Most of the current market is government funded or mandated. The proportion of voluntary private health insurance is low. The cashless process has seen limited improvements in the last decade. The communication between a TPA desk at the hospital and insurer is slow and sequential. There are many anecdotes of over-charging insured patients. Reimbursement claims that form half of overall claims delivers a worse experience. Rejections, delay and deductions are common. Mistrust of patients has led to increased checks and balances by the insurer. This frustrates genuine claimants. Challengers feel that a positive claim experience will set a virtuous cycle in motion and drive insurance penetration. The good news is that several insurers and service providers belong to the challengers' camp. There are several ideas being discussed in the industry where the patient’s experience can improve dramatically. Fixed benefit product design for health insurance can address several friction areas of a claim. 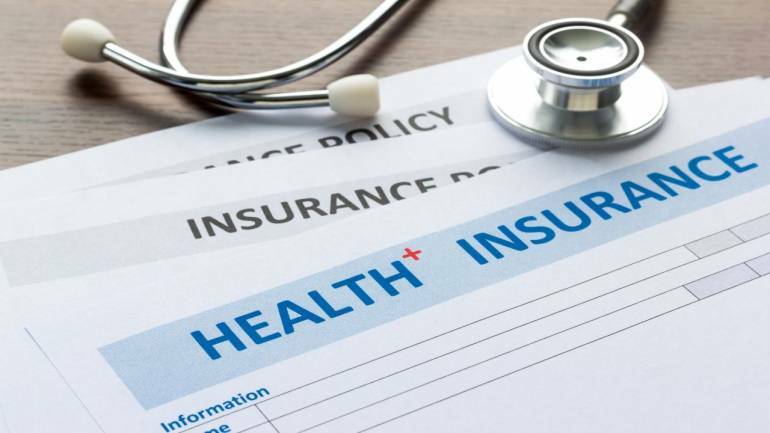 In a fixed benefit product, occurrence of the insured event, such as hospitalization or diagnosis of a specified illness, itself renders a claim payable. The amounts are pre-fixed. So, there is no ambiguity around deductions. Settlement can happen instantly. Hospital cash is a type of fixed benefit product that is currently available. However, its drawback is low cash payout. Most current products have a payout between Rs 2,000 to 4,000 for each day of hospitalisation. This is inadequate to cover medical expenses in metros. At least Rs 10,000 per day is required to cover direct medical expenses and incidentals. The claims process for existing products can be digitised. A minor appendix operation costs around Rs 20,000 while a heart surgery is ten times more expensive. For most insurers, the process of reimbursement or cashless is identical for both claims. To make this process easier, especially for small value claims, auto adjudication should happen. Original claim documents can be marked by the policyholder and scanned. Insurers should process the claim based on scanned copies. This saves time, effort and money of patients. Investigation can happen at random and after settlement. A person who makes a claim appreciates the value of insurance even more. There are over ten million health claims each year, in itself an opportunity to build confidence in health insurance. The risk of policy cancellation and loss of continuity benefits are substantive deterrents to filing fraudulent small value claims. A few insurers have rolled out controlled initiatives in this direction. Finally, there has to be deeper integration between insurers and hospitals. The patient should be able to walk out of the hospital immediately after treatment. Settlement between hospital and insurer should happen without holding a patient hostage. This can be done by a combination of physical and virtual concierges dedicated to a limited number of hospitals. A pilot on these lines is underway with a closed hospital-network. Aside from physical distress to the patient, health issues create mental trauma for both the patient and her family. Being at hospital, surrounded by illness, is unpleasant.Insurers have to be empathetic towards patient needs and work to simplify claim settlement. A quick discharge and early payout will help mitigate this stress for policyholders. It is this peace of mind that insurance is meant to provide.